Welcome to Florida Hospital Church! Our mission is loving people into a lifelong friendship with God. If you are attending a worship service at FHC Orlando, please park in the blue- or green-shaded areas in the map. If you are visiting FHC Orlando during the week, please park in the blue-shaded areas in the map below. The green-shaded areas are only available to FHC on weekends. God is concerned with the quality of human life. God desires a personal relationship with you. Dig deeper with our more extensive statement of beliefs or watch our sermon series on the topic. FHC offers two worship opportunities featuring both ancient and modern elements. You may see Scripture offered in a creative video or dramatic presentation, praise God in song with a jazz band or orchestra, and gain insight from a relevant and Christ-centered sermon. Every Saturday, we are given opportunities to accept God’s invitation to worship with visitors from a variety of cultural, spiritual and generational backgrounds. Our hope is that you will be challenged to pursue an authentic and life-changing relationship with your Savior and leave our services with a passion to serve others. At FHC, we strive to provide an atmosphere of warmth and acceptance. We value authenticity and grace, and care more about you than your fashion sense. Some of our visitors dress very casually, while others wear business or business casual. Our pastors mix it up as well, so please dress as you feel comfortable. We’re just honored to have you as our guest. Why the name Florida Hospital Church? Florida Hospital Church began as a ministry to serve patients, guests and staff of the institution known now as Florida Hospital. Although we operate independently of one another, we share denominational connections and enjoy opportunities to come together to serve the community. Find out more about our church history from more than 100 years ago to today. FHC is part of the Florida Conference of Seventh-day Adventists. Sabbath on the seventh day of the week—Saturday—is so significant that it became our name! While many of our Christian friends have their services on Sunday, we believe that the Biblical “Sabbath” is the day between Good Friday and Easter Sunday. We understand the Sabbath was established in the Garden of Eden and made holy as a commemoration of God’s complete Creation. In the Ten Commandments, God invites us to remember it to keep the Sabbath holy. We also believe that weekly rest is a great reminder of the rest we have in Jesus our Savior. FHC has programs for children of all ages, from birth to high school. Learn more about our creative and Christ-centered children’s programs. We have many ways to connect to the FHC Family. Learn more. Orientation classes are held on the second Saturday of each month. This one-hour class is held in our second floor offices and explains our mission and focus, as well as provides information on how to get connected to our church family. Attend a class. For visitors new to Christianity, we host a class every Saturday that provides insights into the Bible and understanding the audacity of God’s grace and acceptance. Join a team. Contact Karla for more information about joining a team at our church. Help us get to know you. 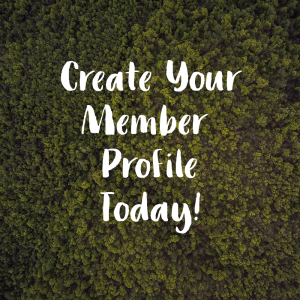 Create your user profile. Here you will find a brief snapshot of the ministry at Florida Hospital Church. This is by no means exhaustive, but we hope it gives an opportunity to see who we are and what we’re about by seeing what we’ve been been up to this last year in our annual report.